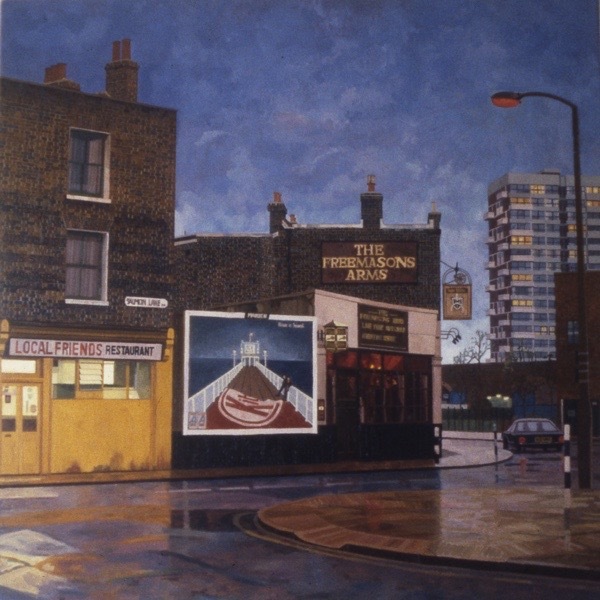 No-one was more surprised by the scale and enthusiasm of the reaction than Doreen Fletcher when I published her paintings of the East End a few weeks ago. Painted between 1983 and 2003, Doreen’s pictures had been stored away in the attic for ten years until I persuaded her to let me photograph and present them in these pages. Readers will be pleased to learn that, as a result of publication, discussions are now afoot for an exhibition next year. In the meantime I present another ten paintings, seen publicly for the first time, that Doreen no longer has in her possession but which are reproduced from transparencies. Fantastic news, pity it’s not until next year, I hope I’m still alive to see it, they are all so good its hard to pick a favourite but I specially like the one of St Anne’s churchyard Limehouse, I regularly spend many an hour sitting in there looking at the war memorial and contemplating, I still find it hard to understand how such a talented artist could have gone un recognised for such a long time, it must have been truly soul destroying to have produced such a collection of exceptionally high quality work only to have it completely ignored, then again they do say there is more out than in ! ! ! very pleased to hear that at last this work is going to get the recognition it fully deserves. These are wonderful! Thank you so much for sharing and persuading her to let you photograph them. Such a waste to be in her attic. Good luck to Doreen. She clearly deserves recognition. Delighted to hear about the exhibition. 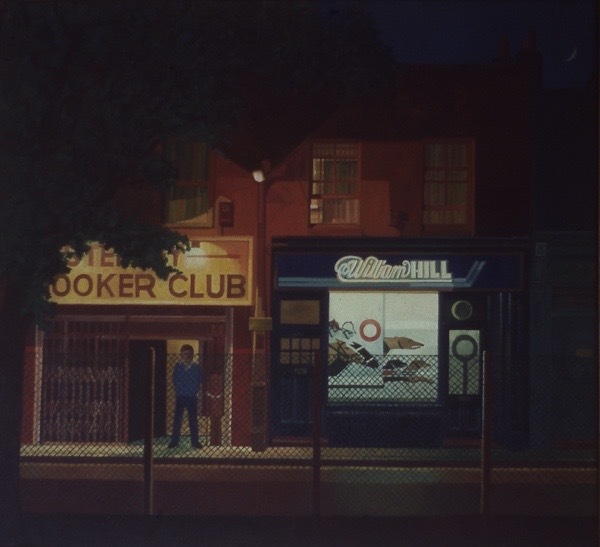 These paintings are so special to Londoners – I look forward to seeing them in the flesh. Thank you for showing the paintings , it lifts me up on this damp November morning. The light and atmosphere in these pictures are really stunning. Good to hear that an exhibition is coming up. I hope Doreen Fletcher will now get the recognition she deserves. Wonderful paintings. I hope whoever owns them now is thanking their lucky stars. 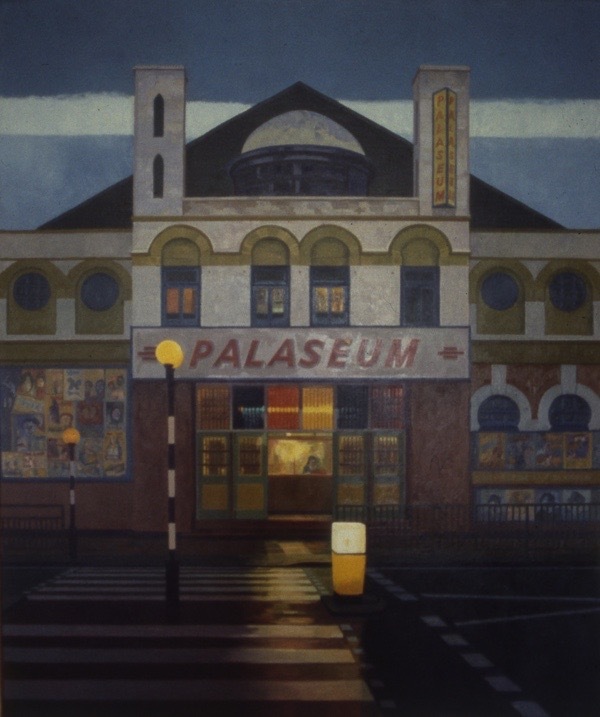 So pleased to read that there is to be an exhibition of Doreen’s work. Really good news to hear about this forthcoming exhibition. What does she want for one? 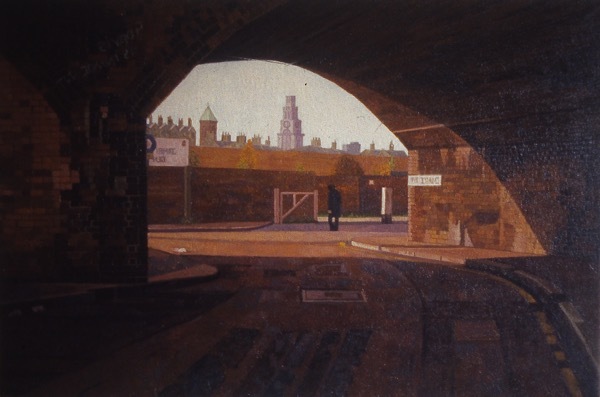 Specifically, in my case the one of the railway viaduct over the canal from the first set shown? Please let us know, as I’m sure I’m not the only viewer here, who would like one. Her work really does deserve a proper airing & exhibition. 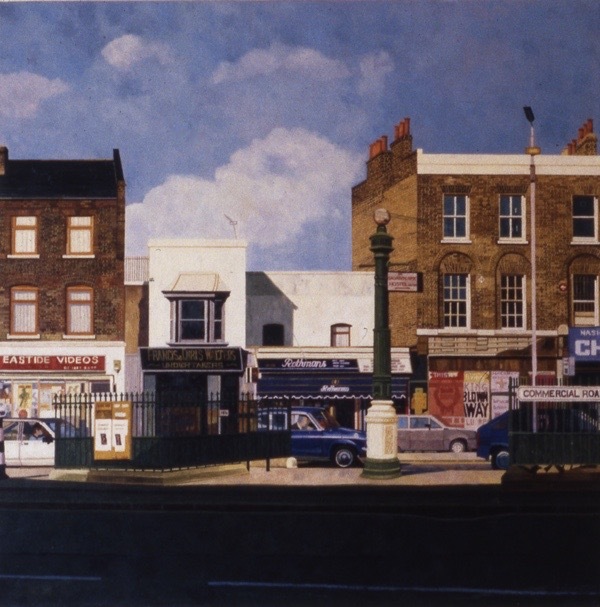 How wonderful to hear that this Edward Hopper of the East End is getting the recognition and appreciation she deserves at last. These paintings have a quiet beauty that is mesmerising. Can’t wait to see the exhibition! Doreen, your time has come! And deservedly so. These are wonderful, full of light and atmosphere. Thank you for allowing us to see ten more of Doreen’s paintings. They really are brilliant. 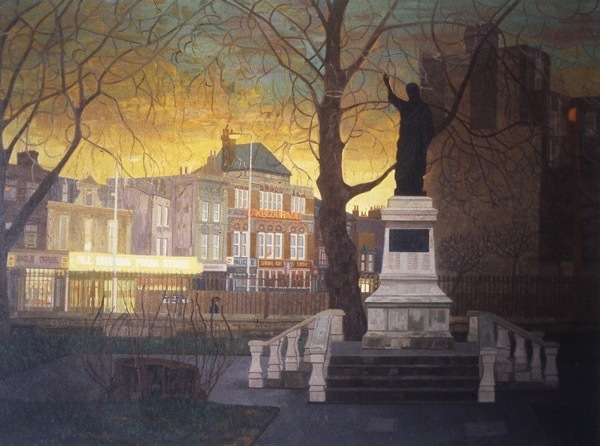 ‘Mile End Park’ and ‘Railway Arch, Bow’ I find particularly beautiful: they have the poignancy of a lot of her work, combined with her great skill in using light to create a sense of the monumental which somehow avoids any sense of being ponderous or overbearing. As an artist I can sympathise readily with Doreen’s experience of the great difficulty she found in reaching an audience. Perhaps now she will gain some of the recognition she so clearly deserves, and bravo to you for helping her to do so. Finally, Recognition! How many more equally good artists are languishing in obscurity? And how many of them are women? Because, apparently, it still makes a difference! I wish to echo the other comments made on these wonderfully evocative images. They are taking me right back to the area that I knew as a child where my Dad had a confectionery shop. I look forward very much to the exhibition. So glad that Doreen is getting some of the recognition she so deserves. I love her paintings and wished her great success with her exhibition. Hooray for Doreen! And thanks to GA for helping her share her talent with us all. I can’t wait to see what you put up on your blog when her exhibition opens! P. S. Is there a photograph of the artist? Would love to ‘meet’ her! These are lovely. Thanks for showing. 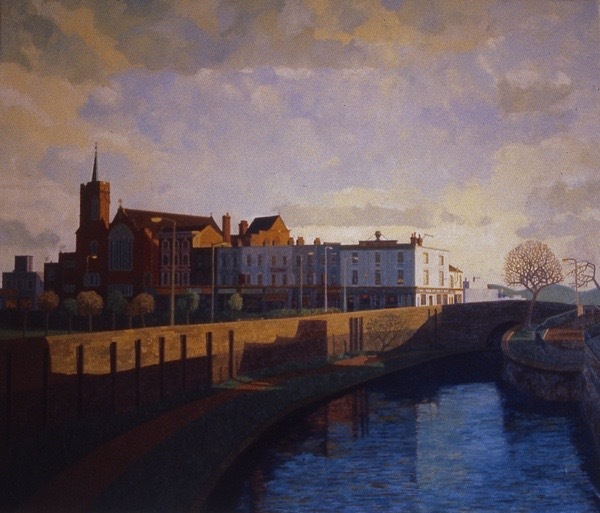 They have a similar poetic feel to Algernon Newton’s work. I lived in Mile End in 1987 and Wintry Park takes me right back there. I’ll be at the exhibition. The paintings are beautiful. WOW – and again WOW! I remember some from a long time ago when they’d occasionally turn up in local exhibitions but I never knew there was such a large body of unseen work. And the unshown paintings are some of the best. I love the Palaseum one. And the still, clear quality they have. Part Edward Hopper. Part East End group. Part Doreen. They feel like turning a corner one crisp early morning or at sunset or just after a storm and finding yourself in a street on your own. In some of these you can hear the hiss of tyres pulling through puddles. Doreen, they are quite wonderful. An even better story, Gentle Author! Perhaps the current owners of these paintings may be tracked down and persuaded to lend the works for the intended exhibit. So exciting! She is such a talent and these are gorgeous as well. 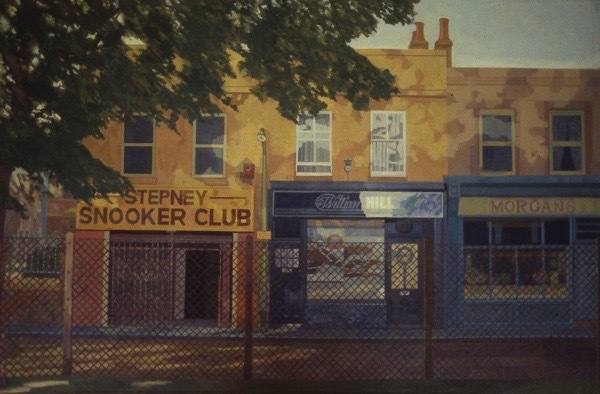 Please keep me informed as these paintings are pure charm and a record of pre and post millennial London. And I hope Doreen is encouraged by this response to paint more scenes. Thanks for giving us second helpings – another feast. And really good news about an exhibition next year. Beautifully rendered works as well as timepieces which deserve a special place. Thank you. Such good news about the exhibition, this talented artist certainly does deserve it, her skill in painting a wet road and pavement is stunning, and I agree with all the other comments regarding her ability to capture the atmosphere. Congratulations Doreen. Doreen – just brilliant, what talent! amazing paintings. i had the pleasure of working with doreen in that “admin” post recently, a pleasure i might add. i had no idea! 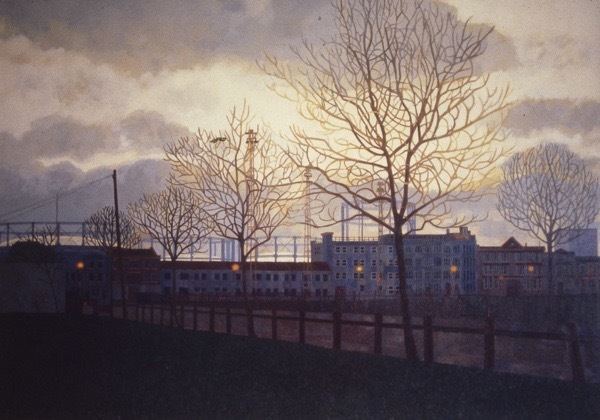 Thank you for sharing Doreen’s work, all of it so evocative of the East End; she is a very talented artist. And thank YOU, gentle author, for your dedication in showing us, your dear readers, the beautiful people and rich culture of your neighbourhood. Another marvellous collection, Doreen – your careful and precise work oozes a delicious atmosphere. Spurred by your first post, I walked your haunts last week: Turner’s Road, the boarded-up fishmonger’s in Commercial Road – and the Local Friends restaurant in Salmon Lane is still there! Looking forward to seeing your show. I have been a fan of Doreen’s paintings for many years and am so delighted that they will be viewed at last.Your good friend and fellow Artist Vic Bateman would be cheering you on too. The quality and atmosphere of these paintings deserve every success. Doreen, it’s such a pleasure to see your wonderful paintings. Oh what a crime that the Palaseum was torn down, and pretty much just after you’d painted it. 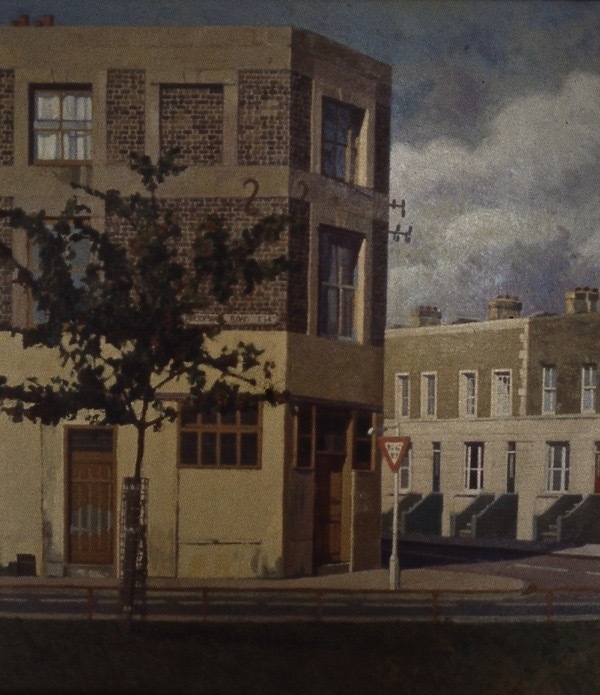 So great to see your two paintings capturing the short parade of shops (now also gone) at the north end of White Horse Road – in both daytime, and at night. The tiled mosaic that adorned the floor to the entrance of the Stepney Snooker Club continued to herald the name “The Ben Hur Cinema” (which closed in 1962, succumbing to the lure of Bingo). An amazing story about the name Ben Hur: Henry Ben Solomon was a market trader who took on the local bully in a bare-fisted fight held down in the sewers, out of sight of the authorities. After over 70 rounds, Henry emerged as the winner. He was visited by a theatrical agent whilst recuperating in hospital, and the market trader was reborn as ‘Ben Hur – The World’s Strongest Man’. Hero Ben later bought the 540 seater Palaceadium Cinema which he inevitably re-named the ‘Ben Hur’! BTW Just beyond Morgan’s was The Fish & Ring public house – with The Little Star pub right opposite it! Fabulous paintings. I was lucky enough to meet Doreen yesterday at UEL and see her up-to-date work. I was bowled over by the quality of her recent paintings. One to watch! This is exquisite work. There is a beauty in the simplicity which upon study highlights a complex beautiful mind.